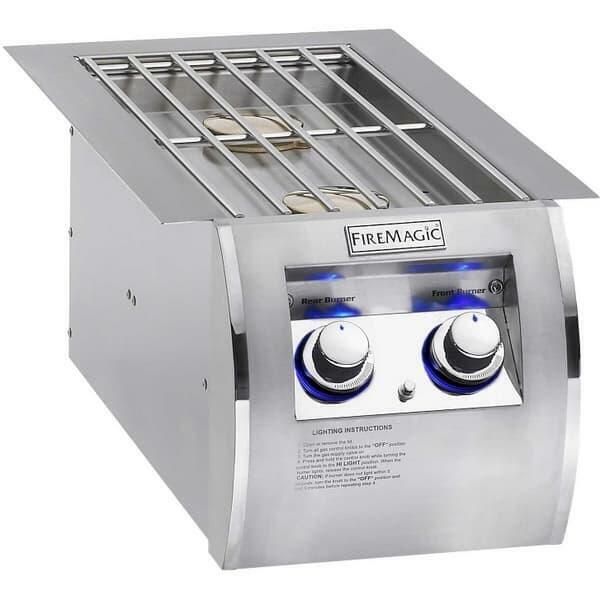 An outdoor kitchen needs more than a grill; this Echelon Diamond Style Built-In Double Side Burner by Fire Magic will equip you to take on all the sides and sauces you need to make a complete meal. No running back and forth to the kitchen when everything is right at hand. The Echelon Diamond Style Built-In Side Burner has two independent burners that generate 30,000 BTUs between them; the electronic ignition system makes them easy to light while the precise temperature control keeps you in charge.